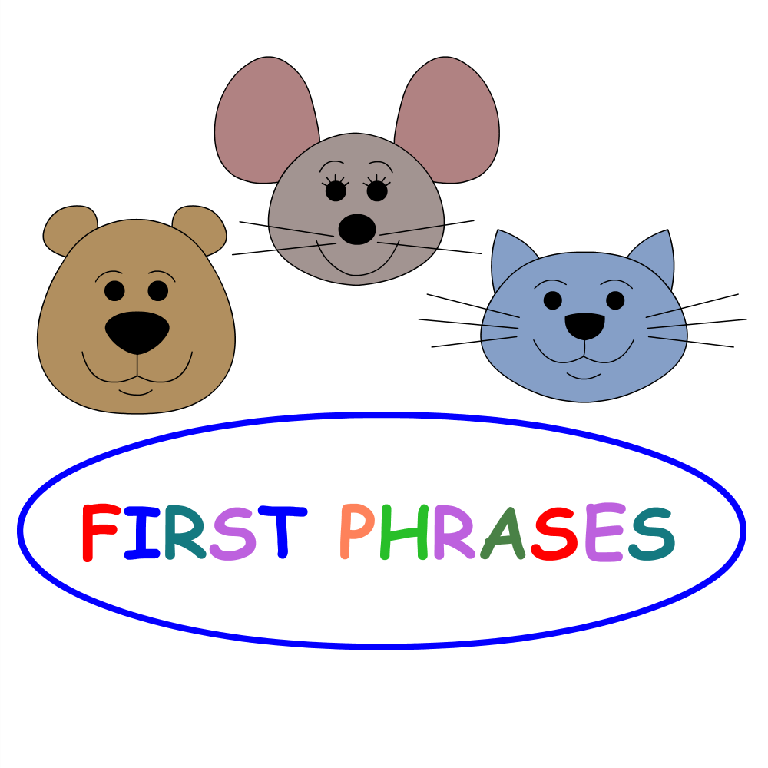 First Phrases HD by Hamguchi Apps for Speech, Language and Auditory Development is a wonderful interactive animated app for individuals who need to improve expressive language skills as well as a variety of cognitive skills. I have used it to improve direct selection on an iPad, visual perception, sequencing, speech intelligibility and expansion of utterance length. The app is essentially the user telling the cute animals what to do either by touching pictures or using speech. There are different options, but typically the user touches one or more pictures of actions or objects ( or sequences them in the higher levels) and then views a video of a character doing something such as cutting paper or drinking water. There is then the opportunity to record the individual reciting the command and then the character does what it is told. There is not a voice recognition component- the iPad does not judge the accuracy of the verbal response- it only records what it said. Humor is embedded throughout the app. The app is great for working on sentence structure and building sentences. There are 17 simple verbs such as “drink” and 12 verb plus prepositions such as “jump on” . Each verb is paired with nouns to make logical phrases that can be pictured. Up to 15 users can be added to the app. I find myself using this app with children as well as adults who have aphasia as well as apraxia and dysarthria and find it quite amusing and helpful. I have also used it with children who present with severe ASD (autism spectrum disorder) who are engaged by the colorful animations and helped by the visual presentation of language and need help with cause and effect as well as comprehension. When downloading the app, I suggest that you first try the lite version which is $.99 to make sure it is a good fit for your goals. The full version is $9.99. The “HD” version indicates that it is for the iPad. If you find it helpful to view the app in action prior to using it – I recommend clicking here. There are very few apps such as this which use video to enhance language skills and give true meaning to verbalizations or direct selection of items on the screen. The full app does require a large amount of memory and is best loaded directly from iTunes or WIFI if possible- rather than via 3G. This entry was posted on Thursday, April 12th, 2012 at 2:32 pm and is filed under Uncategorized. You can follow any responses to this entry through the RSS 2.0 feed. You can leave a response, or trackback from your own site. Hi Joan! Thanks for this review. Any chance it is available on an Android platform? Sorry. Right now it is only available for iDevices.